This level is hard and you need to break 15 purple candies with balancing the Odus owl that need good luck and genius trick. 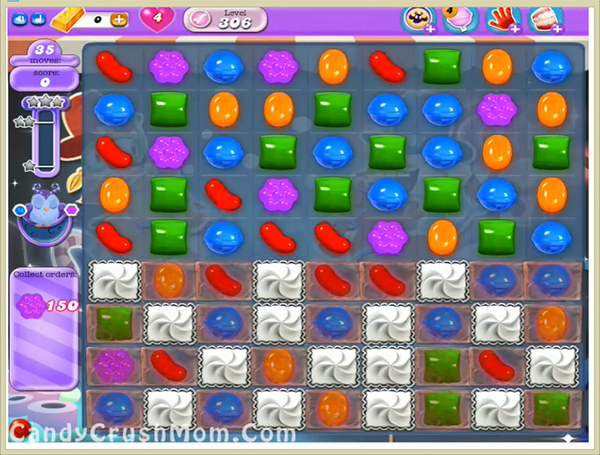 For this level you should try to break purple candies or use wrapped candy with striped candy special combo to break more purple candies. Wait till moonstruck then use special combos with colorbomb to break more candies automatically and if you will have luck you could easily complete order. We completed this level with 146660 score using above strategy and luckily reach requirement before 10 moves and got three star score.